There is no debate about it, the general interest in muzzleloading has dropped significantly over the last few years. The top-selling firearm in the United States is the semi-auto pistol. Coming in at number two is the AR-15. What is hot and what is not is contingent on a number of factors. Consider that MacDonalds spends over $2 billion per year in marketing. It seems like a lot of cash per year to try to convince you that their stuff is worth eating, but it has worked. Based on 2011 sales data, Technomic estimates that McDonalds owns nearly 17 percent of the limited-service restaurant industry in the United States. Thats not only the largest share, according to the analysis, but also nearly as much as the next four restaurants in that category combined  Subway, Starbucks, Burger King and Wendys. 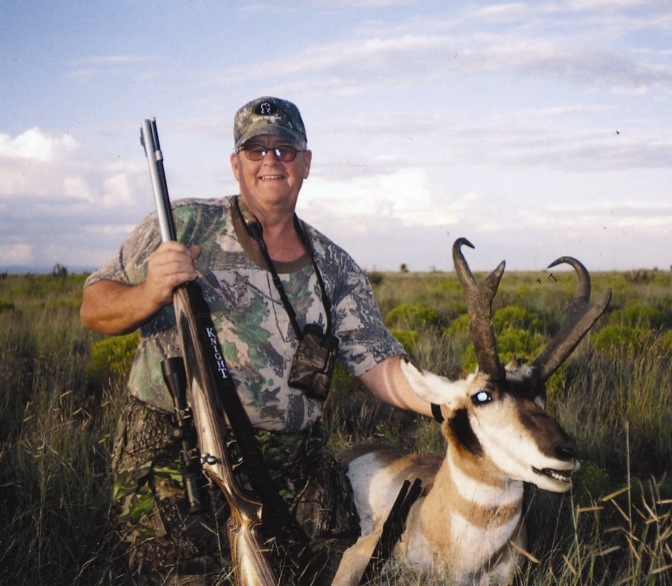 Although you might hear that there isn't much demand for a certain product, demand for recreational hunting equipment, including muzzleloaders, has a lot to do with promotion and visibility as well. A common statement of jargon has always been, we can't build them fast enough. It is largely a fictional statement, as if no machinery is for sale, no potential employees are looking for work, and there is no advertising from companies who can't build things fast enough. Of course there is. It isn't nearly as simplistic as referring to consumer demand as something that happens spontaneously. When muzzleloading was in its high-growth phase, in the 1990s, for example, the advantages and benefits of muzzleloading were loudly discussed. 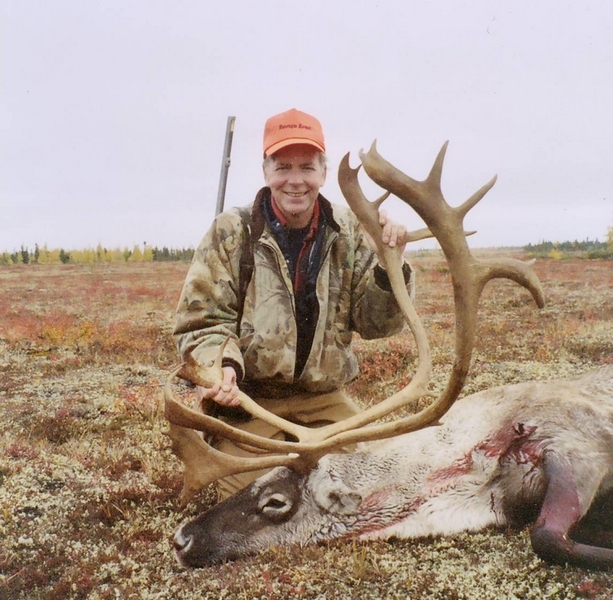 Exclusive muzzleloading seasons were lobbied for and acquired. Tony Knight (above) spent a great deal of time working with DNR departments as well as the ATF to make muzzleloading a great place to be. So, what happened? Tony Knight sold his growing business to Dale Watley in 1991. Knight Rifles became far and way the leading brand in muzzleloading rifles, with EBSCO acquiring Modern Muzzleloading, the manufacturer and marketer of Knight Rifles and its subsidiary, Green Mountain Rifle Barrel Company, Inc. in 1998. By then, the muzzleloading market was so large and fast growing that seemingly everyone wanted in. Remington tried it, twice. Ruger tried it. Marlin tried it. So did muzzleloading-only companies like White, Gonic, Austin & Halleck. Cheap imports nameplated CVA and Traditions got in the game, largely touted as cheaper copies of Knight and Thompson rifles that were just as good. They weren't, not even close, but they sewed up the bottom-feeder portion of the market. The sport itself was neglected, as the idea apparently was to just sell boxes and make money. T/C with a change of management advertised heavily and effectively, acquiring market share from EBSCO-Knight. Finally, the world's largest maker of fishing lures, EBSCO, threw in the towel. T/C was on top, but that didn't last. In late 2006, Thompson was acquired by Smith & Wesson. It was finalized in January, 2007. The press release at the time read as follows. Michael F. Golden, President and CEO of Smith & Wesson Holding Corporation, said, "The acquisition of Thompson/Center Arms is an important step in our diversification strategy. Thompson/Center Arms has consistently delivered both profits and strong gross margins while building its position in the hunting rifle market. This move will expand our presence in the $1.1 billion long gun market by providing immediate entry into the hunting rifle and black powder segments, which represents approximately $600 million in domestic sales. In addition to carving out a leadership role in black powder and single shot hunting rifles, Thompson/Center Arms has developed tremendous expertise in manufacturing long-gun barrels, a competency that will be important to Smith & Wesson as we expand our capabilities even further into the long gun market." As it turned out, the acquisition was a failure. After declining sales and numerous factory lay-offs, S & W announced on Dec 11, 2010 that they were closing the Thompson/Center Arms factory in Rochester, NH and moving operations to the S&W plant in Springfield, Mass. After three years under the S & W umbrella, Thompson-Center Arms of Rochester, New Hampshire was no more. Note that Smith & Wesson, despite a troubled fiscal past, does sell both semi-auto pistols and AR-15 rifles, the two largest segments of firearm sales today. 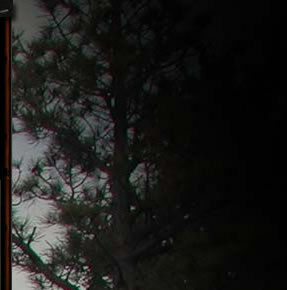 Jim Shockey, former spokesman for Knight and Thompson, is now selling air rifles. If S & W is particularly interested in muzzleloaders these days, it has escaped me. If there are two categories of rifles today that, like Rodney Dangerfield, Get No Respect it would be muzzleloaders and slug guns, meaning shotguns shooting Foster type slugs, other bore-sized slugs, or saboted slug rounds for use in rifled shotgun barrels. The same folks who who little trouble investing $1500- $2000 for their assortment archery gear, their primary scoped centerfire deer hunting rifle and so forth don't always view muzzleloaders with the same level of respect, even though they are pursuing the same game. Though there are something like 4,000,000 muzzleloading rifles in regular use in the United States, their use is often not clearly defined. For example, here in Illinois a muzzleloader is a legal firearm for every firearm deer season we have and a centerfire rifle is legal for none of them. So it goes with many seasons across the U.S., where it is shotgun only or a regular centerfire season, muzzleloaders are welcome. Indeed, whether black bear, kudu, pronghorn, caribou, and so on I've used a muzzleloader though there was no muzzleloader season or requirement. In several ways, currently, muzzleloading hunting is turning into the best-kept secret in big game hunting. Slug guns have certainly improved, yet a three inch 20 gauge is moving a 275 grain .45 caliber slug at 1750 fps or so, at three dollars a shot or so. A quality muzzleloader is far more accurate, and the performance level and range starts where shotgun slug hunting ends. 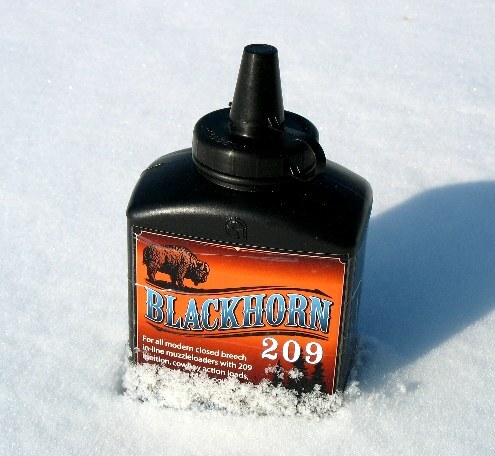 Just 80 grains by volume (56 grains by actual weight) of Blackhorn 209 gets a 250 grain projectile out the muzzle at a similar velocity to the best slug rounds. Additionally, you have far more aerodynamic projectiles available. 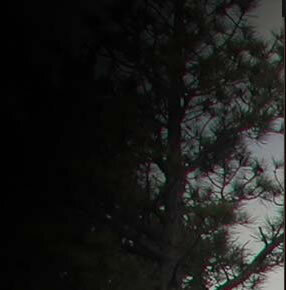 Want a lower recoil load for your wife or daughter to whack a deer inside 125 yards? 65 grains by volume of Blackhorn 209 is more than adequate for the job. Sabots are far thinner than in a 20 gauge. Our 20 gauge slug gun sabot has to shim up a .45 caliber slug to fit a 61  62 caliber bore. The thinner sabot allows for far greater accuracy and as it is already engraved and seated right in the rifling, there is no freebore or forcing cone to contend with. 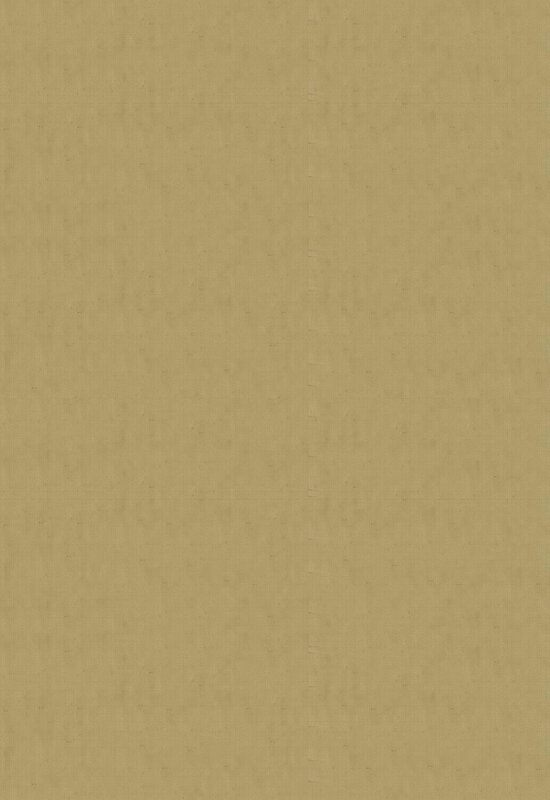 Want far greater range? 120 grains by volume of Blackhorn 209 (84 grains by weight) nets you 2150  2200 fps with a 250 grain projectile, roughly 2000  2050 fps with a 300 grain projectile. 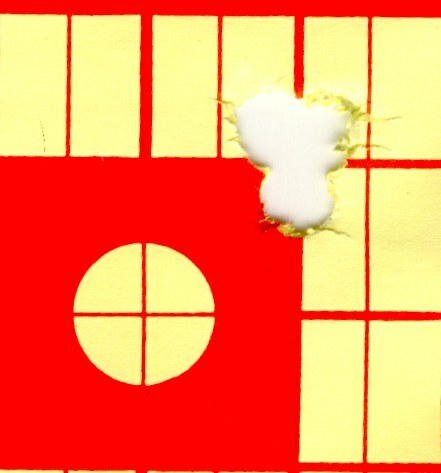 Above: 4 shots out of a Savage 10ML-II at 100 yards. 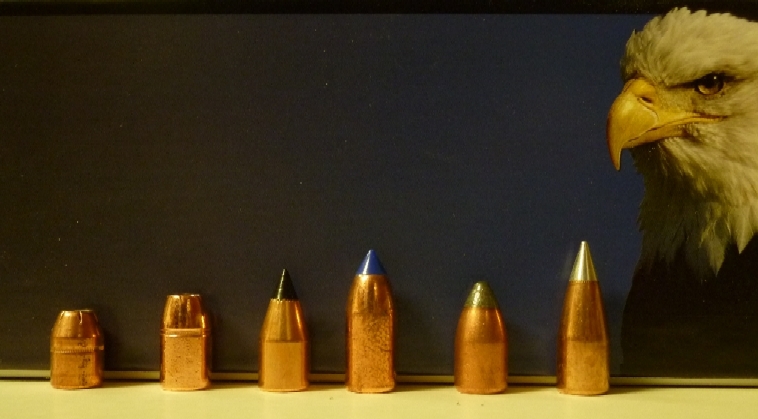 From the left: Hornady 250 grain .452 XTP, Barnes 225 grain .451 "XPB" #45120, Parker 275 grain .451 Ballistic Extreme, Barnes 290 grain T-EZ, Barnes Original #457010 Semi-Spitzer FB .458 300 grain, Parker 300 grain .451 Match Hunter. Ironically, though the muzzleloading market is in a bit of a slumber for new rifles (when was the last time a truly new, exciting, mainstream, high quality muzzleloading rifle was introduced?) muzzleloading hunting has never been better. It is a LOT better. Sealed actions, meaning no more scope burning or garbage flying in your face, essentially non-corrosive propellants (Blackhorn 209) that are cleaned up with a couple of patches of Hoppe's, and far more aerodynamic projectiles that shoot flatter and with far less wind drift than the flying ashtray pistol bullets originally used with sabots, like the Parker Match Hunter. Muzzleloading has never been more effective, more convenient, or more fun. Muzzleloading isn't dead, by any means. It is currently sorely neglected, in a state of non-promotion and stagnation . . . even though the best equipment, propellants and projectiles in particular, have only appeared within the last four years. 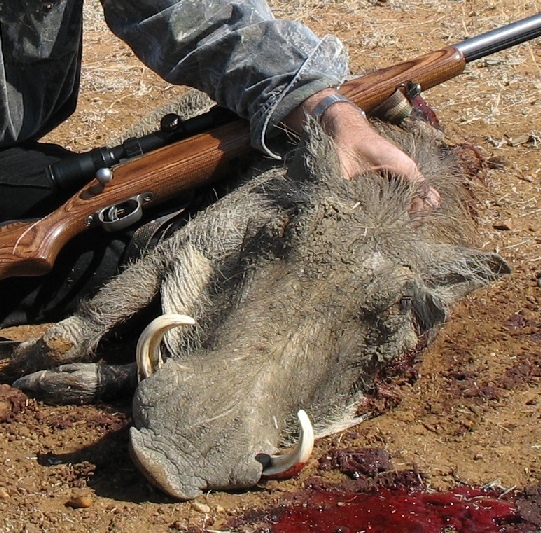 It is currently the best-kept secret in big game hunting.